This listing is for a Pair of Four inch (102 mm) long double ended trigger hooks. 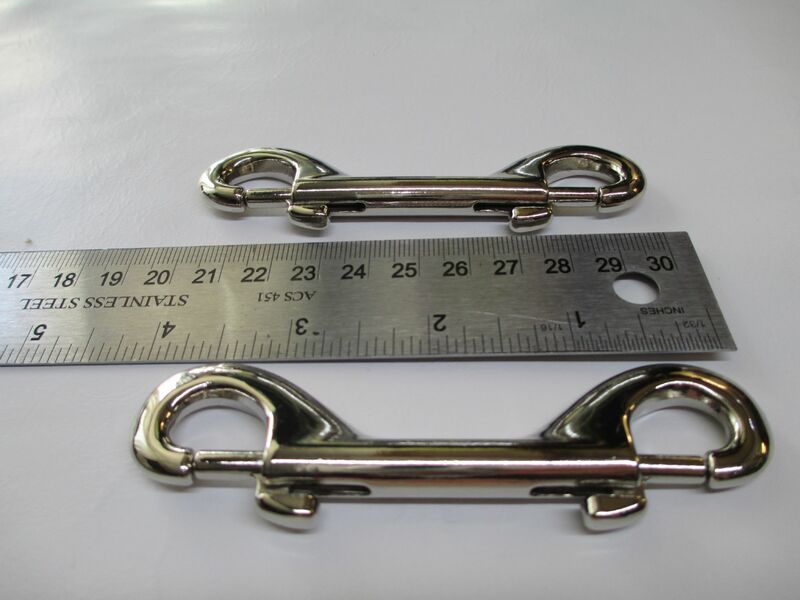 which are Nickel plated. 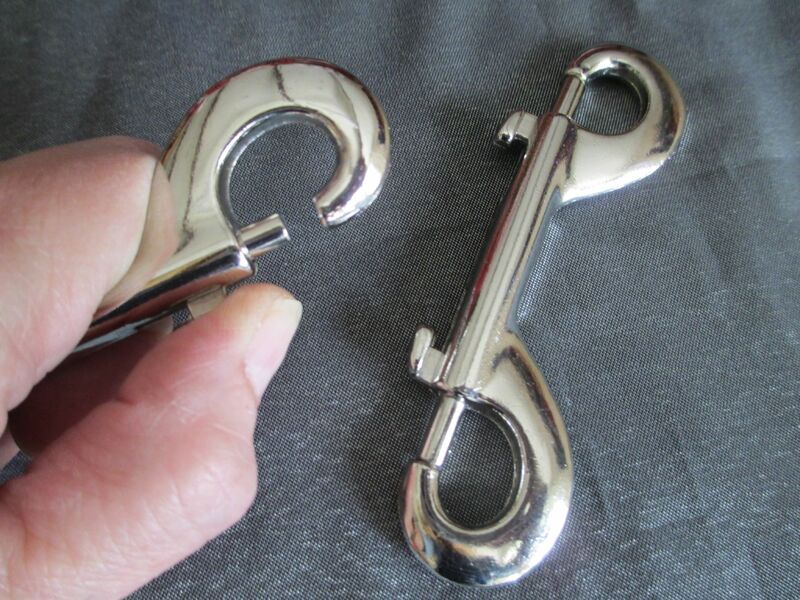 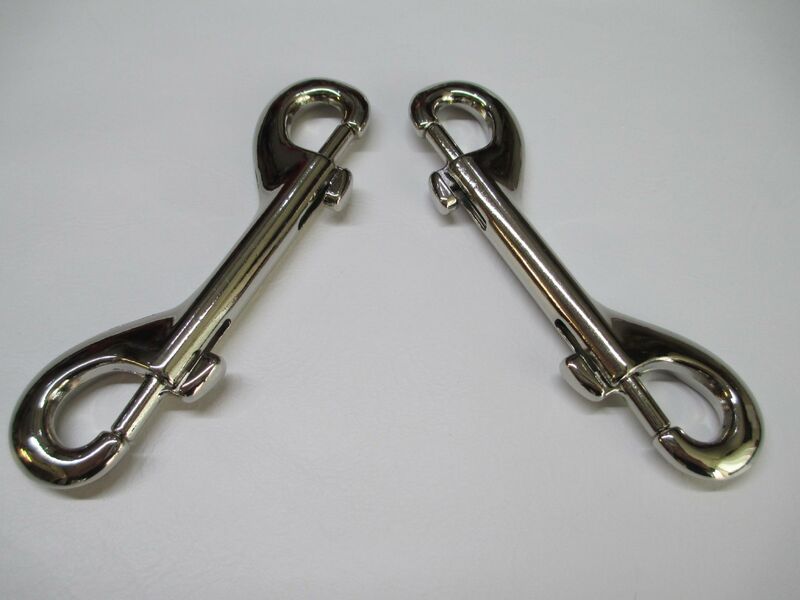 These are very good quality trigger hooks, with a good smooth trigger action. 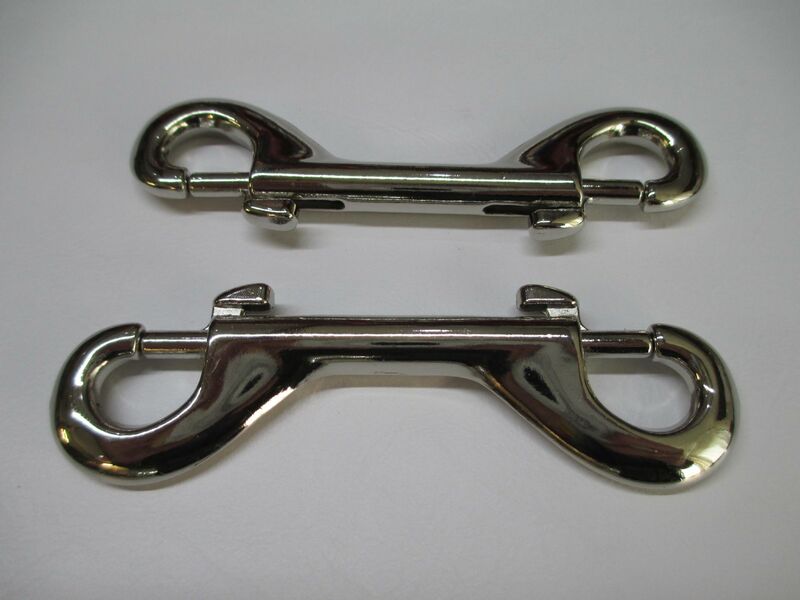 Idea to use with a pair/set of our restraint cuffs etc.